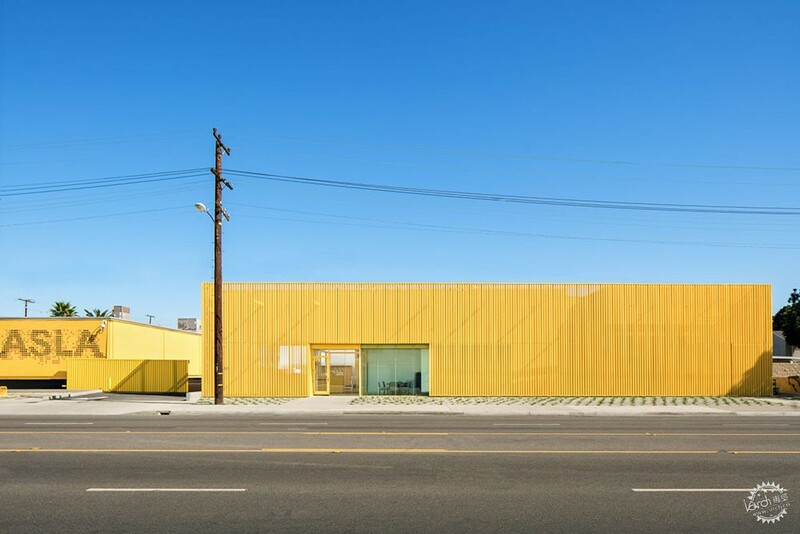 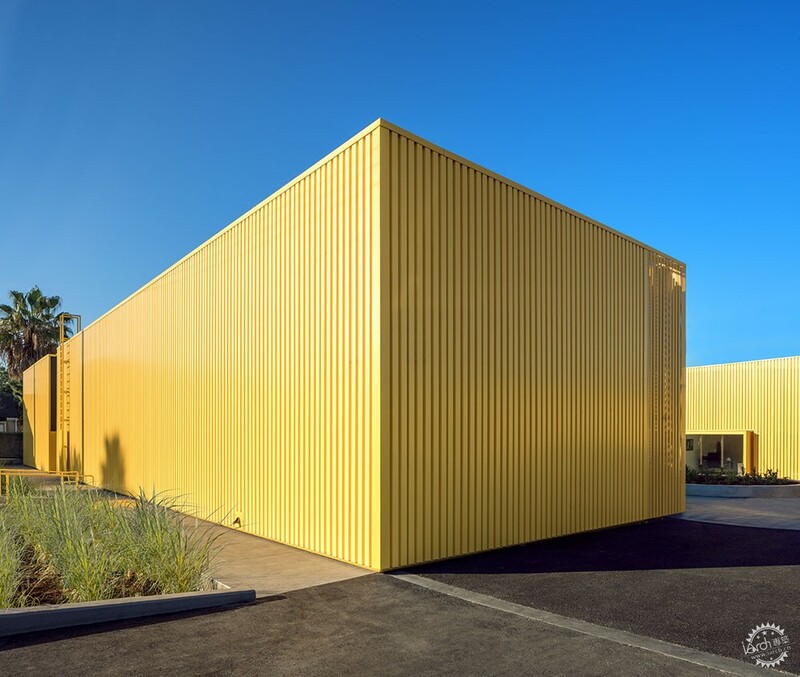 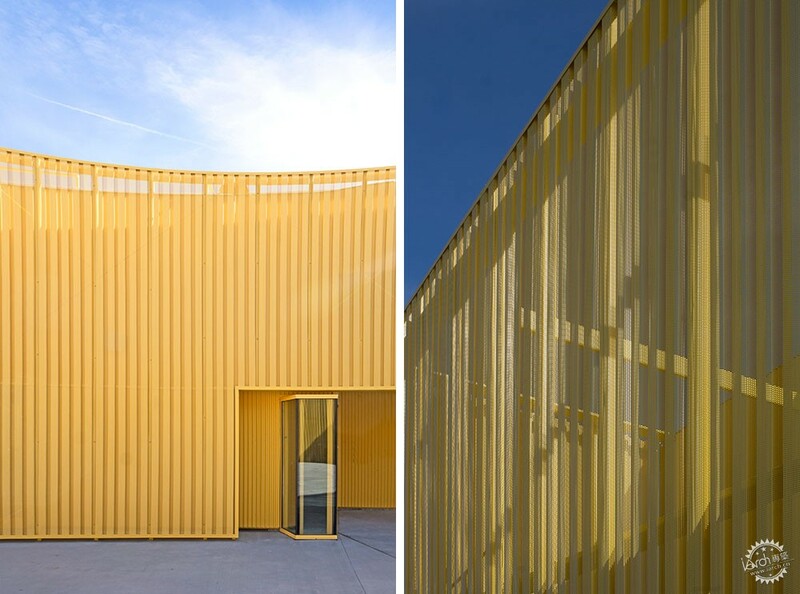 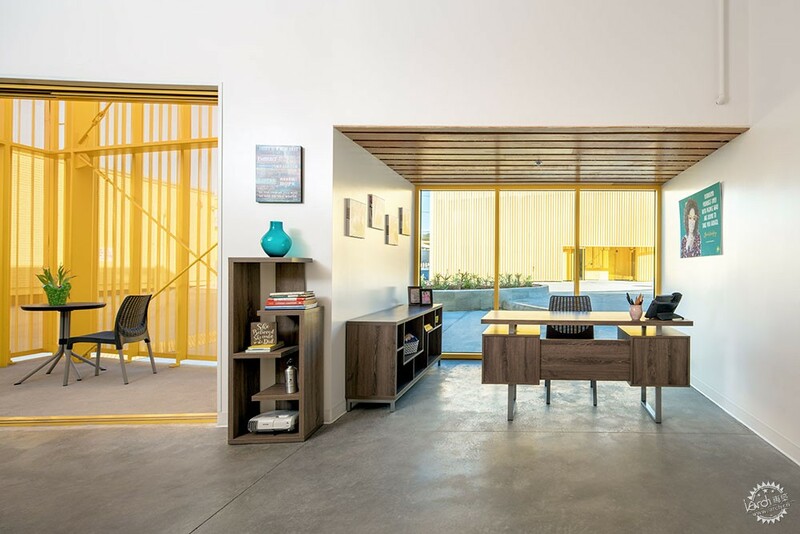 Architecture firm Brooks + Scarpa has reconstructed a high school in Los Angeles after it was destroyed by a fire, choosing a bright yellow finish for its aluminium facades. 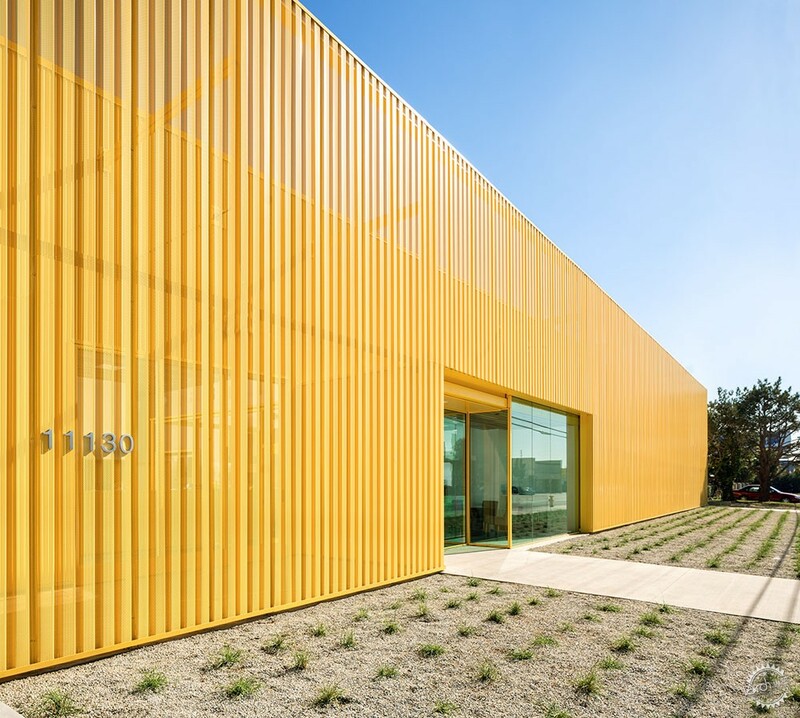 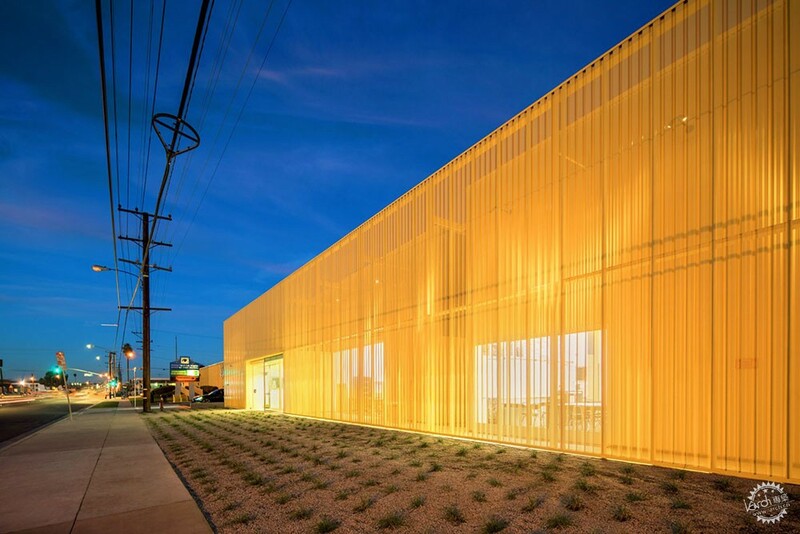 Animo South Los Angeles High School is wrapped in anodised-aluminium panels that all carry the same bold shade of yellow, making the complex dramatically stand out from its surroundings. 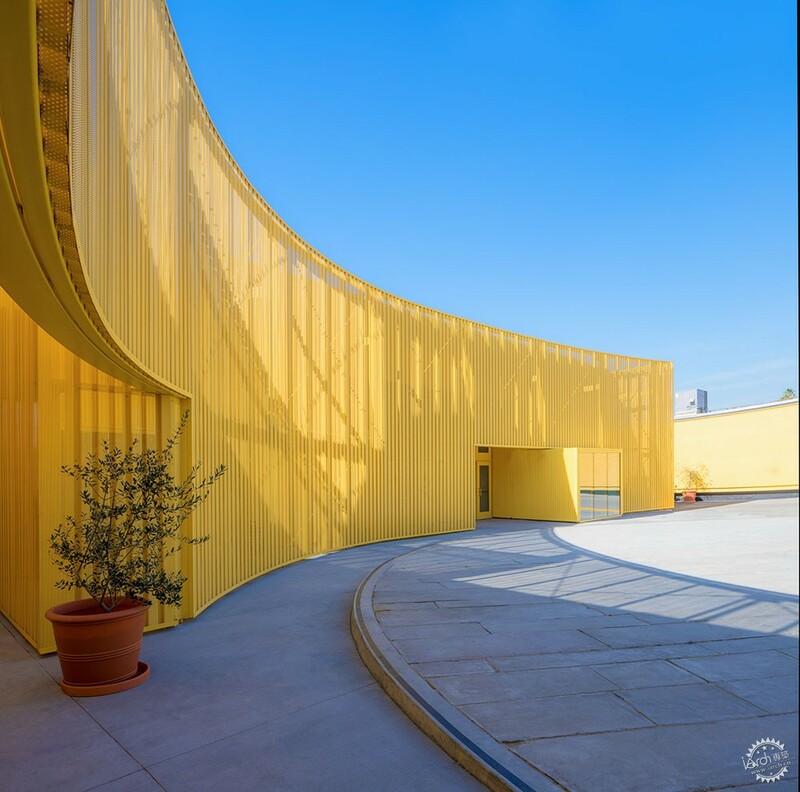 The school located is in the Westmont-West Athens neighbourhood, which has one of the highest crime rates in LA county, so city-based firm Brooks + Scarpa designed the building to be "visually open but entirely secured". 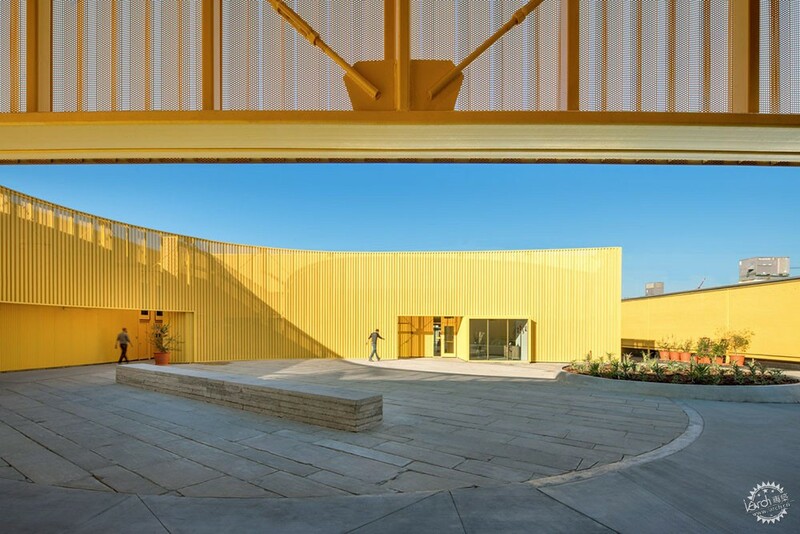 "Fair Housing and school busing have plagued the area since the early 1960s, where median family income is less than $35,000 per year and 25 per cent of the population lives below the poverty level," said Brooks + Scarpa. 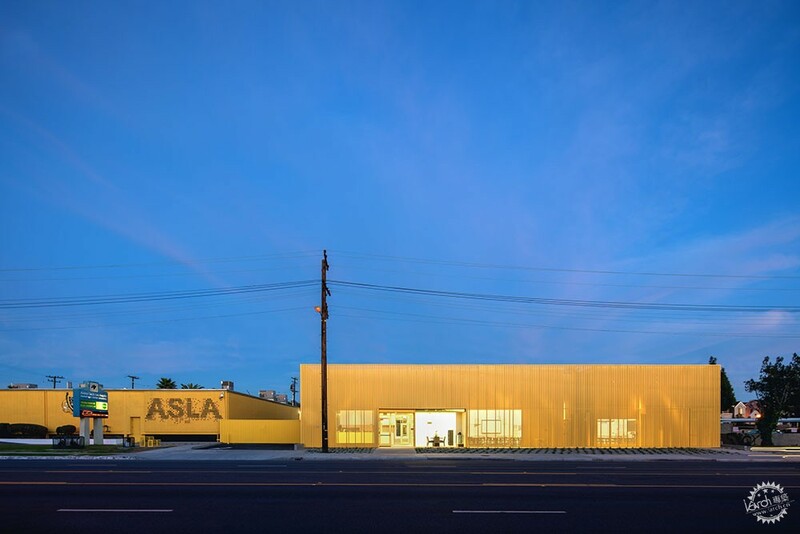 "The area was also a central trouble spot during the 1964 Watts and the 1992 Rodney King Riots." 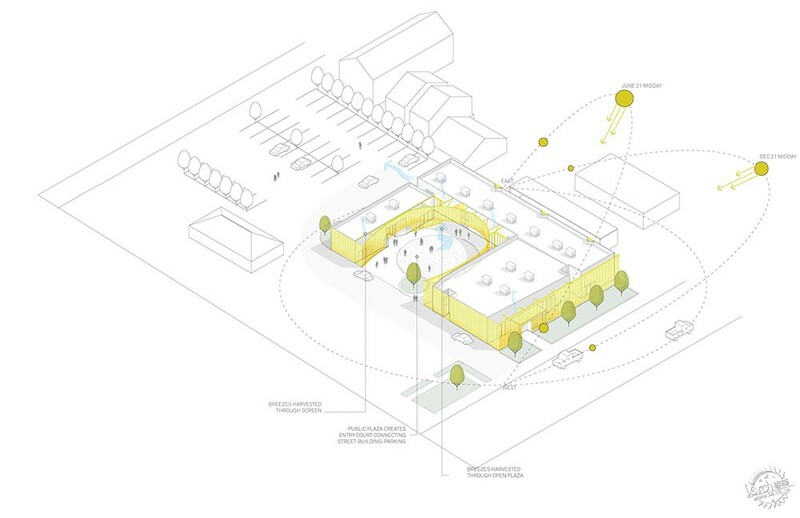 In 2014, a fire broke out and destroyed half of the school campus. 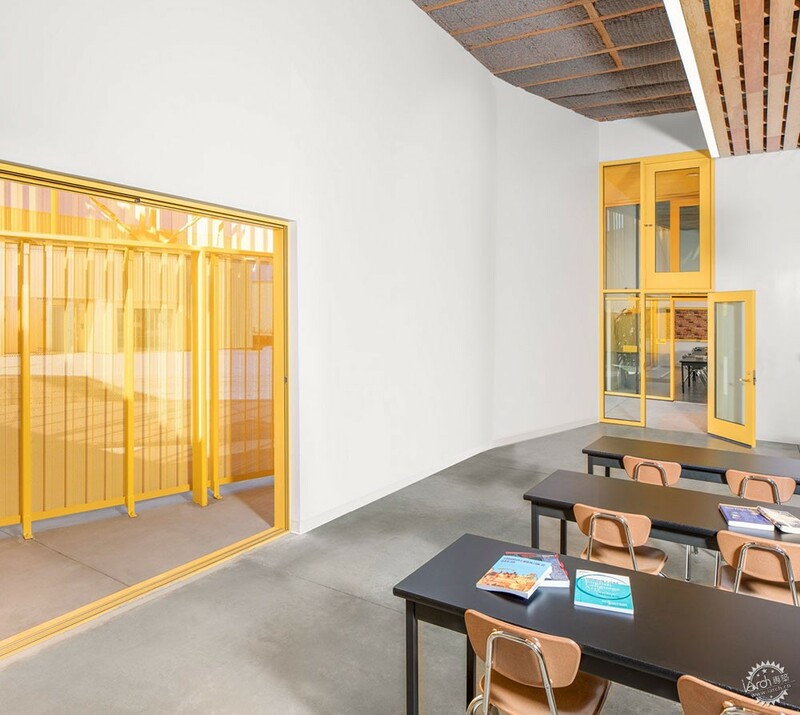 Brooks + Scarpa therefore redesigned the new public charter high school as an addition to an existing campus from the 1950s, on "an extremely limited budget". 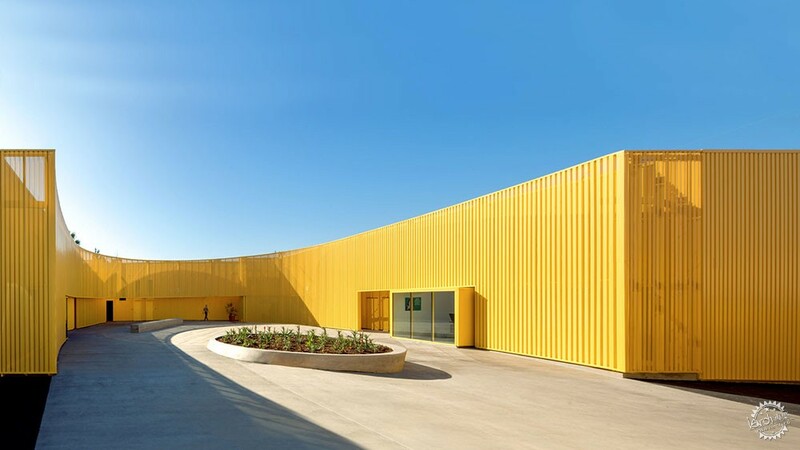 Rather than a property line or a security fence, the 20-foot-high (six-metre) yellow metal walls surround the school, and are designed to be bullet resistant. 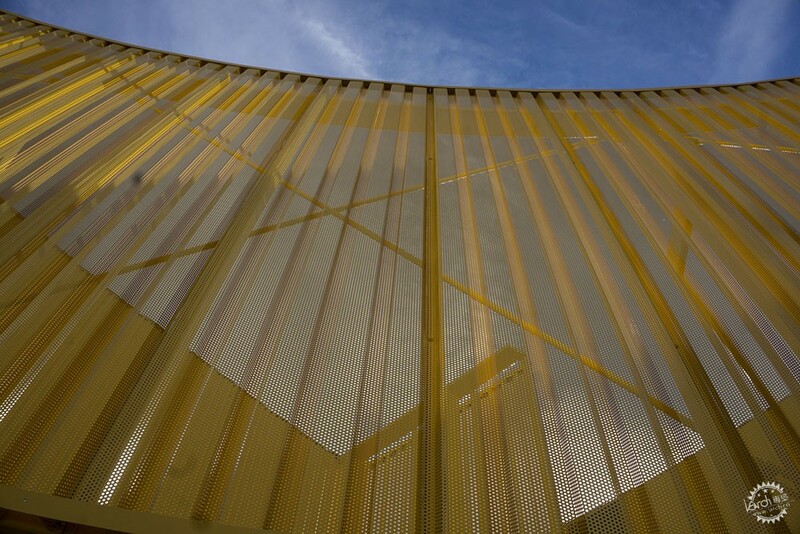 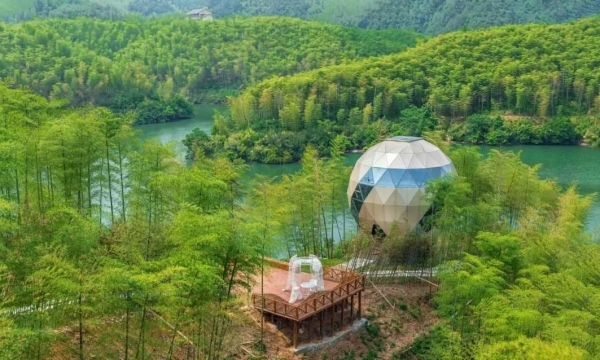 The perforated screens that surround the complex were chosen to create a sense of security and privacy, while also allowing light and air to pass through. 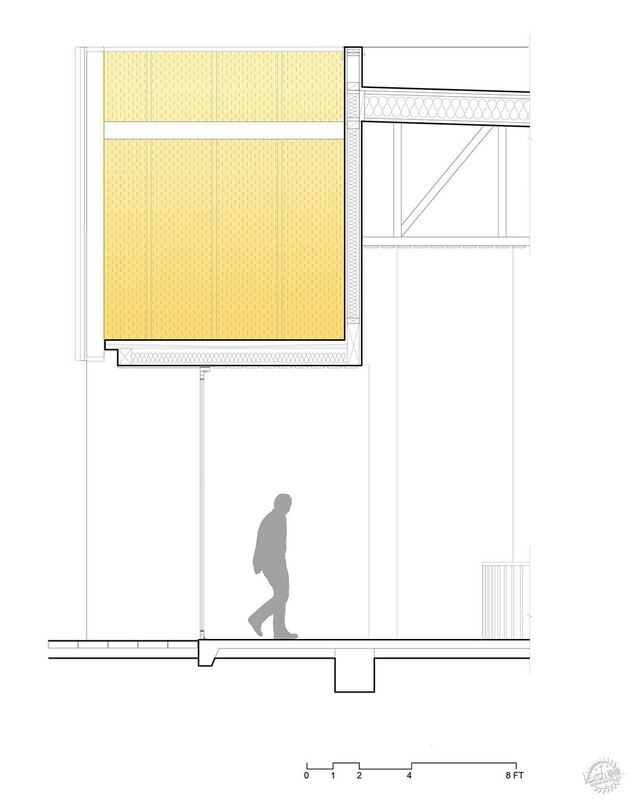 They also form shaded outdoor walkways, which link classrooms together. 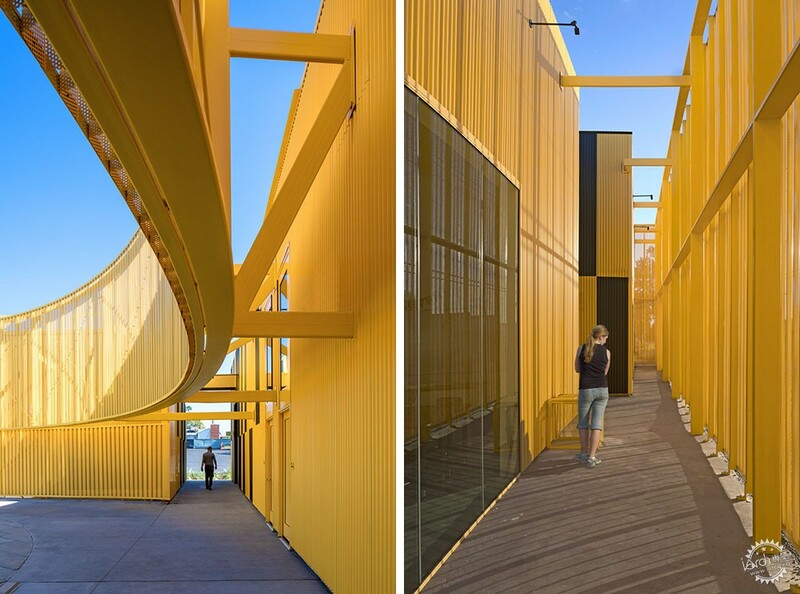 "The use of cladding, fenestration, colour and transparency create a memorable sense of richness, providing a bright moment in an extremely tough inner-city community," the firm said. 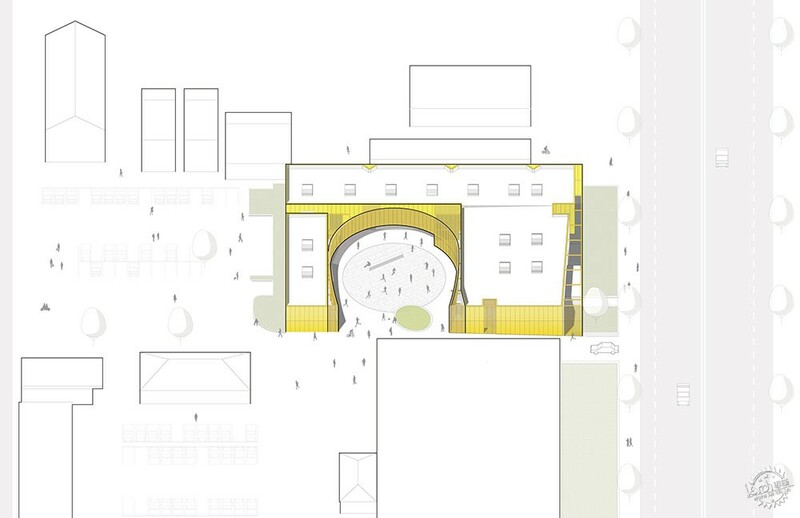 The rectangular site is entered via a horseshoe-shaped courtyard that cuts into the plan, and provides access to the school's three single-storey buildings – totalling 18,000 square feet (1,672 square metres). 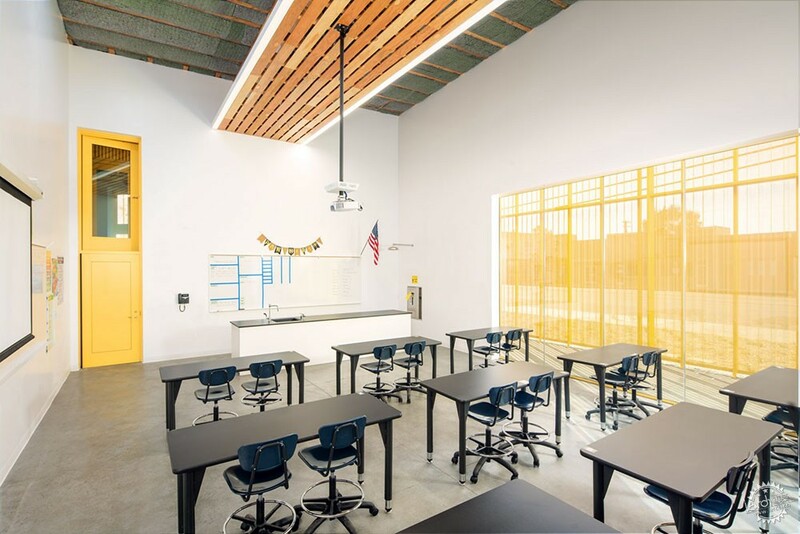 In a square-shaped volume to the right are offices and a reception area, a teacher workroom, and two classrooms. 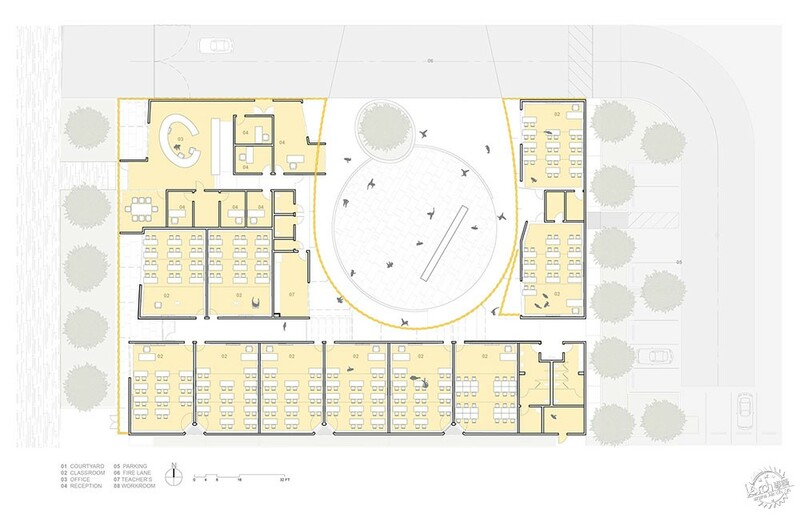 Two rectangular volumes, to the left and along the rear, contain classrooms and restrooms to accommodate 630 students. 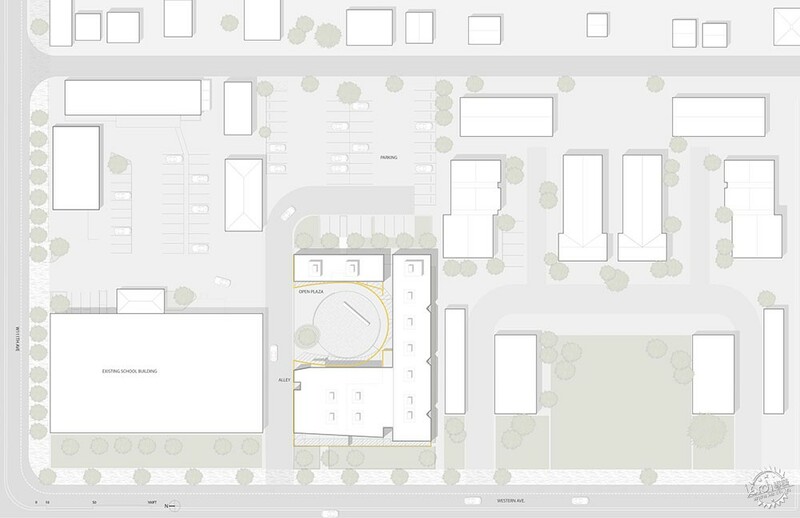 The layout shape is informed by a series of required clearances, such as an existing oil well on the site that was abandoned in the late 1970s. 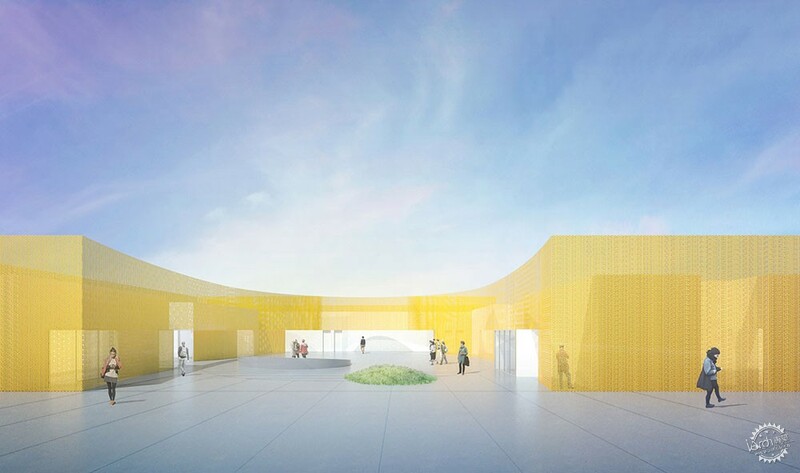 Other projects by Brooks + Scarpa include a Seattle transit station covered in a blue metal strips and an white coloured art museum in Utah with an enormous wave-like design for a roof. 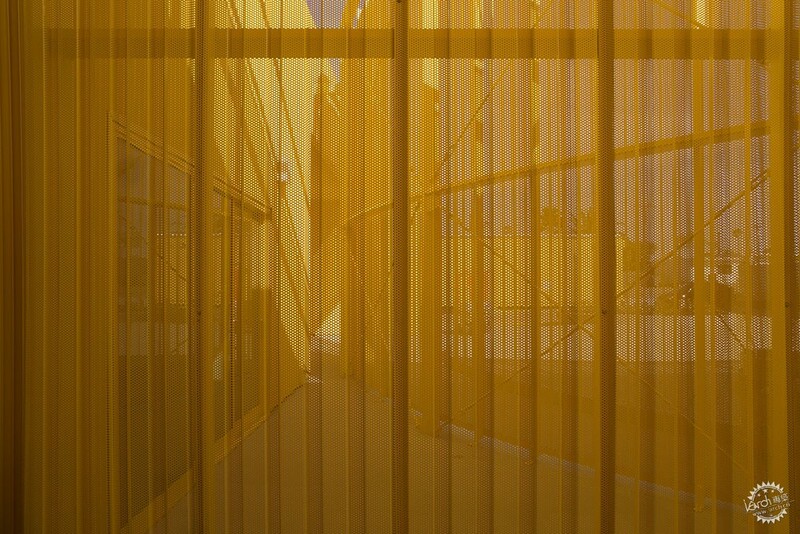 Photography is by Tara Wucjik unless stated otherwise.